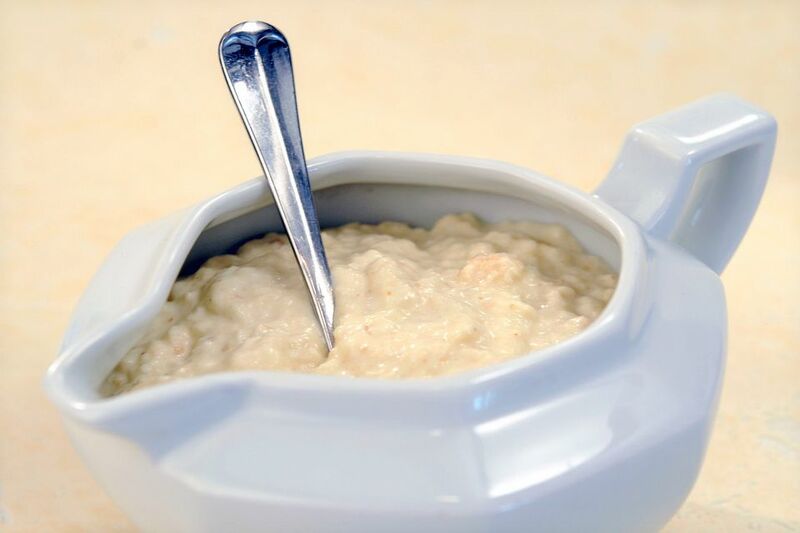 A traditional Bread sauce is one of the oldest British sauces and dates back to medieval times. For a recipe to have survived so long is nothing short of a miracle but what is it that makes this such a British institution. The sauce was once only one of a whole repertoire of British bread-based dishes, dishes designed to use up the staple of the kitchen, bread. Explore most European cuisines and you will find similar their inventive for a stale loaf (Panzanella is a great example). Bread was (and still is) an excellent way to thicken a sauce or soup, and if you have ever dropped a piece of bread into the soup and watched it turn to mush, you will understand the thinking on this. The lovely bread sauce is now considered and essential of the Christmas table, and the perfect accompaniment to the turkey yet no threat to a strident Cranberry Sauce. Bread sauce is delicious with all components of the traditional Christmas lunch, dip a crisp, hot roast potato into the sauce and tell me it is not delicious. However, the sauce does not need to be kept merely for one day of the year. Try it with all poultry throughout the year and watch with delight at the discovery of the nutmeggy and clove scented sauce with your Sunday roast. It really does work, which no doubt is why it has survived for centuries. Place the semi-skimmed milk, double cream onion, and bay leaf into a large saucepan. Turn the heat off and leave the pan and cream to stand for about 10 mins to cool and for the flavours to gently infuse. Remove the onion from the pan and keep to one side, read below why you would want to keep the onion. Add the bread crumbs, to the pan, stir with a wooden spoon until the mixture thickens and becomes smoother (you do not want the sauce to be completely smooth, it should still have the texture of the bread. Add the butter to the pan and stir, season with salt and black pepper to taste and serve. If not using straightaway, then cover the sauce with clingfilm (plastic wrap) until required or leave to one side to cool, then freeze. The onion is too delicious to discard. Always remove the cloves before proceeding. Chop the onion into thin strips and add to the gravy to help impart flavour. Or the onion can be chopped into quarters and served alongside the roast. It will even freeze well.